Are you a high school student interested in theatre? 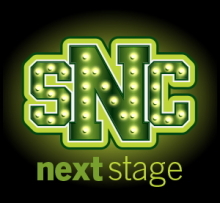 Be a part of St. Norbert College Music Theatre’s Next Stage program! If you are currently in your freshman, sophomore, junior or senior year of high school, you are eligible to audition. All genders and ethnicities are encouraged to participate. Saturday, May 18, 2019 – 1 p.m.
Sunday, May 19, 2019 – 1 p.m.
Monday, May 20, 2019 – 6:30 p.m.
Tuesday, May 21, 2019 – 6:30 p.m.
Wednesday, May 22, 2019 – 6:30 p.m.
On the day of your audition, please plan to arrive at the Hall of Fine Arts early. This will allow auditions to remain on schedule and also allow you time to warm up in one of the practice rooms found in the lower level of the Hall of Fine Arts. If you forget the time slot you signed up for, please email tickets@snc.edu. Prepare the appropriate musical excerpt(s) from the list below. At the audition, you will be asked to play the excerpt and to sight read some music. Click on an instrument from the list below. We would love a chance to meet you and discuss your interest in technical theatre. You will not need to stay for the entire audition process. Prepare a musical theatre song, about 32 measures long, preferably memorized. We will provide an accompanist. Bring music for the accompanist to use. Following the vocal auditions, all students will participate in a dance audition. Please wear clothes you can move in and jazz shoes or sneakers with smooth soles. You will learn a short dance combination and perform it in small groups. Check in when you arrive in lobby of Birder Hall. Arrive early to have photos taken and to get your audition number. You will be contacted by email if you are being called back. Call Backs will be held in Birder Hall on Wednesday, May 22 at 6:30 p.m. Be prepared to possibly sing again and to read from the script. GENDERS - The writers of "Newsies" and their licensing agents have opened up the gender casting opportunities since the original show was cast. Note that there are many roles for both females and males. Set in turn-of-the century New York City, Disney's NEWSIES is the rousing tale of Jack Kelly, a charismatic newsboy and leader of a band of teenaged "newsies." When titans of publishing raise distribution prices at the newsboys’ expense, Jack rallies newsies from across the city to strike against the unfair conditions and fight for what's right! NEWSIES is presented through special arrangement with Music Theatre International (MTI). All authorized performance materials are also supplied by MTI. Everyone involved in the production and, at least, one parent/legal guardian must attend. This meeting is for the cast, crew/technicians, and pit orchestra. Rehearsals are generally held during the week day afternoon from 12 p.m. to 5 p.m. In the beginning of the rehearsal process, cast members would meet a few days a week while principle roles would meet more often. The month of June is lighter while the month of July is heavier. during production weeks, rehearsals will move to evening times. The pit orchestra will rehearse two to three evenings during the month of July and will be held at Dudley Birder Hall. We would love to have you involved as much as possible during the building and set up process. Each technical area will eventually have a specific schedule, but in general, the scenic construction process will begin Monday, July 8. In general, the shop will be operational Monday through Thursday from 9 a.m. to 12 p.m. and 1 p.m. to 5 p.m. Also, the official load in and stage set up process begins with the strike of "Singin' in the Rain" on July 21 at 5 p.m.
Technical Rehearsals on August 1 through August 4. Dress Rehearsals on August 5 through August 7. All Performances on August 8 through August 11. Everyone must take part in strike following the final performance. Names will be added as more become involved with the production. Sign up now to reserve your audition spot! Check out photos from our past productions! We welcome parent and other adult participants to help with the production. For more information, contact the music theatre management team, at musictheatre@snc.edu.